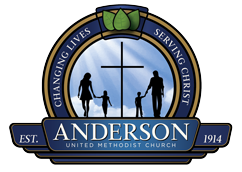 Anderson United Methodist Church is an exciting place to be! We have ministries and areas of service for every walk of life. You can go directly to a ministry area using the links in the table. Take a look at some of what we have to offer and get involved TODAY! We invite you to become a part of God’s program. Our ministries are designed to reach out to all mankind by serving, sharing, teaching, and witnessing through the giving of time, talents, and gifts.